One Spring afternoon, I took my friend as my date to a wedding where I could bring a plus one. We sat in the middle of the church pew watching the couple say their vows in a traditional Lutheran ceremony. Hymns were sung, scripture was read, and in general, the wedding ceremony was a no-frills occasion. Not knowing this, my date and I had dressed to the nines for the event and were clearly the most chic pairing among the guests. We joked that our “New York style” had infiltrated this charming small town wedding, but we felt better overdressed than under. He was a good sport throughout the whole day, even sneaking away with me to grab a quick cappuccino after the ceremony and before the reception. Because we arrived a tad bit late after our caffeine run, we missed the couple’s entrance to the reception hall but were seated in time to witness the Best Man and Maid of Honor speeches. 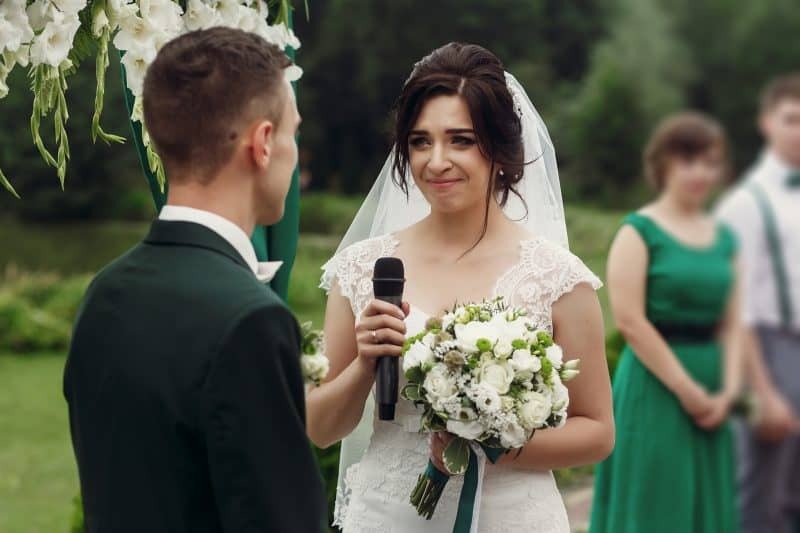 One of the most nerve-wracking moments for some brides and their grooms is during the reception when the Maid of Honor and the Best Man give their toasts. It is one of the few details that the wedded couple has no control over and are completely surprised by, making it both a terrific opportunity to set the tone and an area of possible anxiety. For this particular reception, the Best Man’s speech emulated a Friar’s Club celebrity roast instead of a tribute to a new union. He started out the speech with a joke that might have been best reserved for the bachelor party; audible awkward gasps and creaking chairs followed and the bride looked a little paler than her dress. For a few minutes more, the Best Man referenced the first trip to Las Vegas with the now married groom and the shenanigans that occurred there. At this point, the groom coughed audibly and angled himself toward the Best Man. Oblivious to discomfort of the majority of the guests, the Best Man prattled on. My plus one and I stared at each other agape at the lack of courtesy and romance in this toast, waiting for the merciful conclusion. Luckily, when it was over, the Maid of Honor’s toast was lighthearted, family friendly, and filled with stories of the newly married duo’s affection for each other. On the wedding video, only brief clips of the Best Man’s toast are available to view. If you tell a story, choose one that reflects the couple as they are now, not as they might have been in their pre-coupled life. Try not to give too much advice; it might be taken the wrong way. Do not imbibe much during the cocktail hour; slurring your speech is in poor form. Remember: this is a toast. End your speech with a raising of the glasses and be sure to drink to your own toast! Had the Best Man followed these simple rules, the toast he made would have been remembered with great fondness and love. It’s not amateur comedy hour; it’s a wedding reception. Toast, don’t roast the bride and groom!